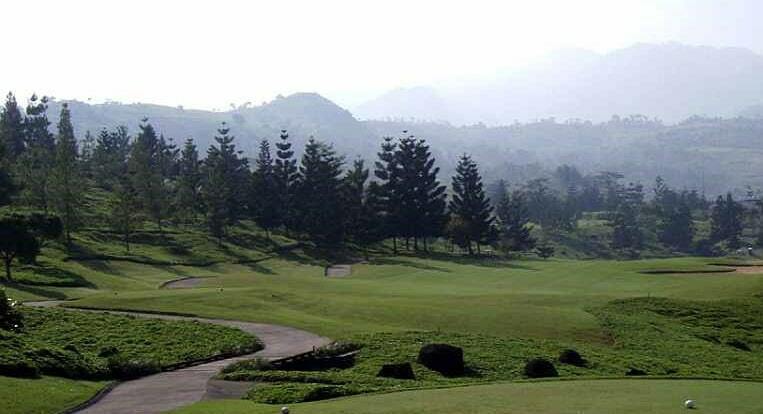 Rainbow Hills Golf Club located in the low lands on the way to the Bogor Region. Cooler temperatures and fewer crowds more than reward the slightly longish distance from Jakarta. 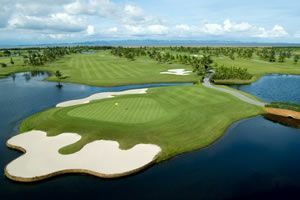 The Jakarta golf course designed by famous US-based golf architect Bob Moore of J. Michael Poellot of JMP Golf Designs. He was able to take advantage of a picturesque setting with natural environment surroundings. 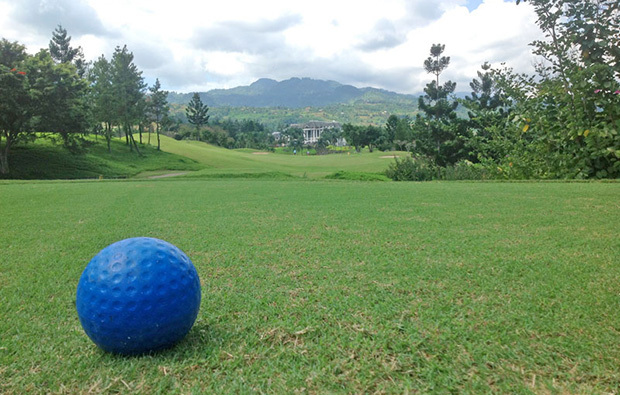 The original 18 holes are routed through mostly deforested mountains and opened in 1995. The newer nine are on the valley floor and completed in 2014. 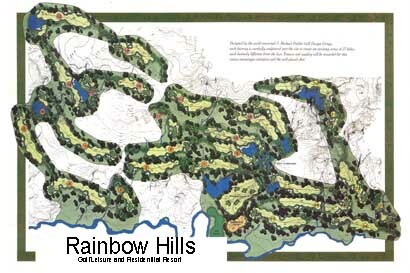 The Rainbow Hills course is designed to accommodate and reward golfers of all abilities. Length off the tee is not as important as accuracy on the fairways. Well placed shots almost ensure a birdy chance if not par. 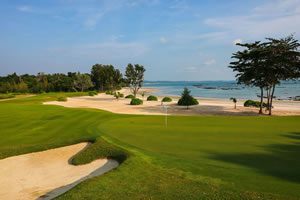 The course generally follows the natural contours of the landscape, and many shots roll towards the center of the fairways. Greens are slightly undulated, but also support the land contours. When in doubt about the break use the surrounding mountains as a guide. There are some long par-4 and par-5 holes with breathtaking views. The signature hole thirteen is one of the best par fives around. The elevated tee affords excellent views over the course and surrounding areas and drops to a downhill fairway. Out of bounds left and bunkers right require a straight drive to be in play. Finding the fairway some 130 meters below is the key to success. A 3-wood here works better than a driver. The second shot is a dogleg to the left. Another nice wood is required to stay clear of the water. The approach shot plays to a well-bunkered green. The ninth and eighteenth holes are also standouts. A par-4 and par-5, respectively, they finish with an approach over waterfalls in front of the clubhouse. Any groups at Rainbow Hills can watch their fellow golfers close out their rounds from the clubhouse balcony. Overall the facilities are quite good for Indonesia. The clubhouse is large, with a variety of dining options from local cuisine to international dishes. The VIP villas with their lockers and F&B are upmarket and can be rented by the day for groups looking for more privacy and even higher service standards. Whatever option, be sure to relax with a refreshing drink and take in the excellent views of the surrounding environment. The Rainbow Hills caddies are some of the best in Indonesia. They all speak English and well trained in the rules and etiquette of golf. As a bonus, the caddies are well groomed and fit perfectly into the “innocent Asian girl” mold. 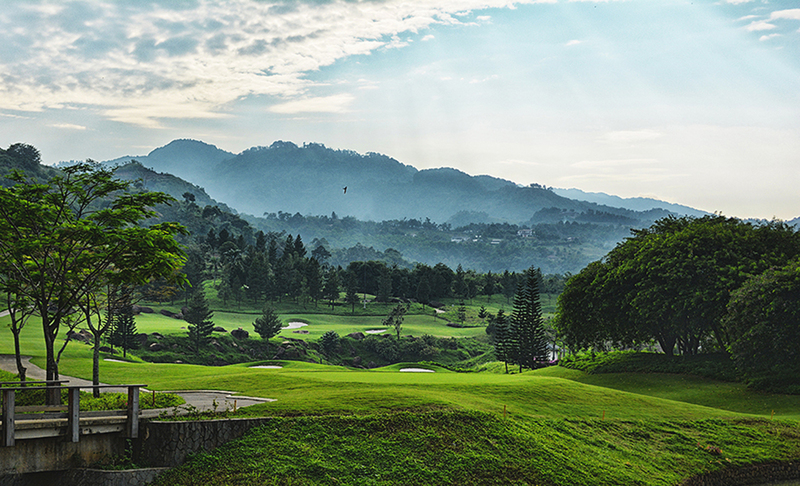 Rainbow Hills plays for golfers looking to get away from hustle-and-bustle in a remote countryside that is not too far from Jakarta. 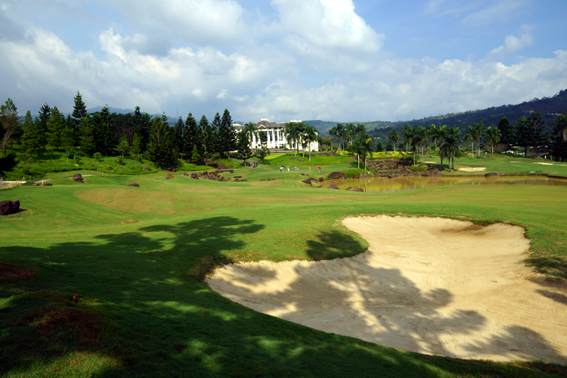 There are many golf options available in Jakarta and Rainbow Hills is indeed one to be considered. It&apos;s an impressive course! Have you played golf at the Rainbow Hills Golf Club and took some nice photos that you would like to share with other golfers? Send them to us and we may upload them here. Thank you in advance!